Within the institutional framework of 1748 is established the marine privilege and exemption and Registration of the Sea freeing sailors from and ecclesiastic jurisdiction and that of the nobility. The navy pushes for marine jurisdiction, progressively displacing the nobility and the church. They had established the Registration of the Sea as a system of maritime recruitment and the Navy builds the “Great Armaments” of the War Navy, which had to be crewed by too many fishermen, who were called up, from the age of 16 to 60 with excessive frequency. Causing an exodus of male workers devoted to fishing, which in turn causes working men and women to carry out fishing work, although they are inexpert. In any case, in practice the sailors continued to face the various impositions. 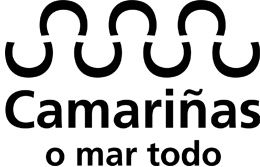 In Camariñas in the decade of the 1770s the sea trade had contributed with two annual fifths of all the sardine fishing, one for the ordinary judge of Vimianzo and another for his number scribe for belonging to the parish of Saint George of Buría, Vimianzo jurisdiction. This trade also supplied three fifths of the sardines caught to the parish priest in compensation for a field of the church property that was loaned so that they could carry out necessary repairs on the fishing craft and equipment, as well as the blessings they gave the nets and the tidal river itself. There were still paying the tenth per priest and sinecure that were established in two fifths, the same amount as in the case of the receiver of the salt warehouse tithing in Muxía. Finally, as was usual, they delivered to the Royal Admiralty six hundred sardines or twelve coins of copper and silver alloy every time a vessel left port with sardines for sale. The most important port in the mid 18th century in Costa da Morte was Camariñas, which had the biggest number of ships with decks for the commerce of sardine with different ports in the Atlantic and Cantabrian coast. The boats left the Camariñas port loaded with sardines towards the Basque provinces, and returned loaded with iron that they sold in the region. In the Inlet Marquis registry of 1 July 1753, this refers to the sardine fishing system in the “village of lace”. “That in this port there is established the fitting-out of two purse-seine systems which are used for the fishing of sardines at their maturity and harvest time, which regularly begins at the beginning of September and comes to an end at the end of December every year. Whose fitting-out consists of one of seventy fifths of equipment, and the other of eighty, for whose fitting-out there are two large boats called lashed, or port galleons of three hundred quintals (46 kg) and twelve benches each, one called San Jorxe, and the other Our Lady of the Mountain, in which they take to sea and bring back to land the nets, ropes and other equipment necessary for said fitting-out. Such galleons or lasheds belong to the interested parties in said fitting-out, likewise all the fishing, the product and the profit that they obtain and acquire from them, which they divide and punctually share out among said fifths of equipment, and the people who handle and manage said fitting-out, the interested parties taking, for reasons of equipment and part, and for reason of person, other, and if any has two or more parts of said equipment they take proportionally more share of said fish, in addition to the extra part per person, and this practice is that which is observed in this port, and it can be seen that in addition to said lasheds all the other launches of the port are used in said purse-seine. The new legal positions turned out not to be positive for the sailors. The Registration had become a heavy personal tax burden and the freedom to fish which had also been promoted in the bylaws had attracted Catalan promoters to the Galician coast. They had all the privileges but more exempt from the personal taxes of the Registration given that they only answered to the corresponding maritime Department. The promoters, with their more advanced techniques, both in exploitation of the sea (use of the longline and grill nets) and in preservation (compression) and commercialisation of their products, did not have much trouble, aside from a few disturbances, to take over the markets. In this situation, the sailors and captains ended up becoming salaried workers who fished on behalf of the ship owners.